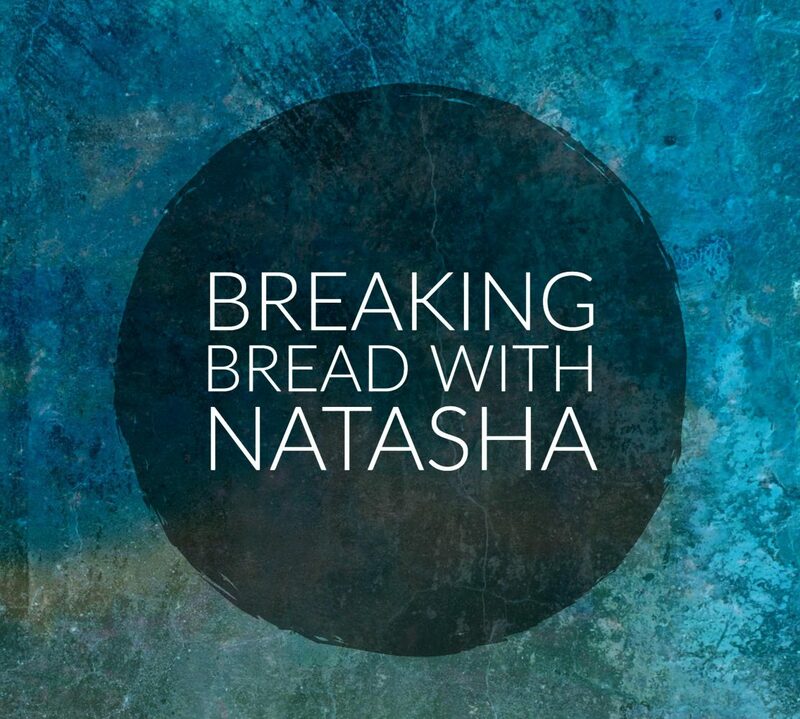 Breaking Bread With Natasha | Here is where I share inspirational messages with the world. I'm not here to preach, pass judgment, convert, recruit, highlight a church or religious leader. I'm simply sharing words of love and peace inspired by the word of the Bible. There will be no advertising, soliciting, promoting, or the like on this blog from ANYONE! We can always find the negative; how many of us seek out the positive? We can always point out our weaknesses and the weaknesses in others, but why don’t we focus more on our and their strengths? We are quick to walk away from jobs and relationships because of a few things that make us unhappy or dissatisfied, but what about the numerous things that bring us joy and satisfaction? If we spent more time looking for God in every situation and in every person, and within ourselves, we wouldn’t have 1/4 of the issues we have today; we wouldn’t have divorce at the level it is—not even close–maybe not at all; we wouldn’t have crimes and other negative scenarios. If we truly put God first, we would only focus on people’s strengths and positives, and on God’s light. If you make a list of a person’s qualities or the benefits of a job, and list both negative and positive, and the positive outweighs the negative, yet you still don’t want to be in that situation, then maybe it is your undeveloped skills and weaknesses that are overshadowing things and causing the negative outcomes. Then you need to turn it over to God and stop trying to fix things yourself! Turn to God and focus only on His Light. He will take care of and stomp out the darkness. That’s what’s wrong with us; that is what has been wrong with us in our past, what is wrong with us currently, and what will be wrong with us in our future if we do not stop what we are doing right now. We need to stop trying to do His job and only do what He commands us to do and that is to reflect His light, share His love, follow His son, and spread His word. Anything other than these things have nothing to do with us, and everything to do with Him. For those reasons we need to stay in our lane and stop trying to get into His! Father You do not care for lengthy prayers or repetition of Your name; what You care most about it is our connection with You and that we mean what we say, and say what we mean. You don’t care as much about the religious rituals as You do the spiritual practices and walk. You care about what’s in our Heart. Father today I will begin by only focusing on the good in things, in people, and in life. I will not focus on or dwell in the bad, the evil, the wrong, the negative, or the darkness. For if I look more to those things than to what’s inside of each scenario or person that reflects You, then I can’t possibly be convinced that You and Your love can and will conquer all evil. What I don’t like in another person I probably or most likely also see or have seen in myself. It is not up to me to fix them or try to get them to fix themselves; I am to only reflect Your light so that they then turn to You to be fixed. Today I will look for Your light in Your children, and believe that this strength I see is strong enough to squash out the darkness that tries to weaken me, them and others. Today I start my journey of looking only for You in Your children, and only You in each scenario. Thank You Father for touching my heart this morning. Amen. Do not lie to one another, since you laid aside the old self with its evil practices, and have put on the new self who is being renewed to a true knowledge according to the image of the One who created him—a renewal in which there is no distinction between Greek and Jew, circumcised and uncircumcised, barbarian, Scythian, slave and freeman, but Christ is all, and in all. We must control our emotions, the words that come from our mouths, our thoughts, and our actions. We are the ruler of what we do or don’t do, no other human has that power. Let’s not even talk about hypnosis. That’s a whole other ball of wax and even then you have to give a person control! You choose to hate or love. You choose to tell the truth or to tell lies, you choose to be loving or to be mean, to be dignified or not, you choose! Free yourself from telling lies, from cheating in all relationships––even business–-and watch the words that come from your mouth because they have the power to help or to harm. Since there are many people who don’t seem to love themselves enough to follow the Golden Rule, then let me say this—speak to others and treat others the way you would want someone to speak to and treat your most beloved person. There is no place in God’s Kingdom for chaos and conflict. Only Love, Joy, Kindness, Peace, and Happiness. Father thank You for another day of life here on Your beautiful planet. Today as other other days I face challenges, but today as some days, I am strengthened in the confidence that You are handling my battles for me. Knowing this, I have no reason to fear, no reason to be angry, bitter, or resentful. I do have a reason to rejoice and be grateful, and so today that is exactly what I’m going to do; rejoice and be a blessing to others as You have handsomely blessed me. I have forgiven all who have trespassed against me. I hold no grudges, and have no bad words to say to or about them. If I haven’t fully forgiven, still hold grudges, and still speak harshly about them, please help me to free myself of that burden. As I pray for Your forgiveness, I know that I must give that which I seek. I don’t want You to hold a grudge against me or to badmouth and curse me, so I know that I must free myself of doing the same with Your children—no matter how much they hurt me. I have to trust and believe that You handle all things and all people. Help me to release that burden Father. Help me to pray for them and pray that they seek the cleansing that it takes to heal them and make them whole in Your eyes. Help me to pray that they forgive themselves and forgive others, that they release themselves from their past, and bury their spiritual and emotional baggage deep in the spiritual woods to never be uncovered. I pray that I can do the same so that I can be free to see, speak, do, and feel all that You desire for me. Father, I pray that You touch their hearts so that they find peace and never a reason to lie, cheat, manipulate, or be cold towards others. I pray that You touch my heart, so that I too will find and know peace, and never do those things that bring You displeasure. Through love, I release myself from their negative web, praying that they too will release that web— for Your love. In Your name I pray. Giving You all of the glory. Amen. I fear God. Period. I do not fear what man or woman may or may not do, as much as I fear God being saddened, displeased or angered with me. In my moments of desperation to cling to humans or gain their approval, I sacrifice my relationship with God. It is not through them that I reach and form a relationship with God, but it is through God that I form connections with humans. There are people around me who I know seek to see me fail, and I am fine with that. There are people who want what I have, envy does that to weak and misguided people. I understand this. They do not know I know what’s on their mind. They do not know that I see them. It is not my purpose or plan to boast to them that I know their intent and desires. That is a waste of time and not what God has called on me to do, nor is that how He tells me to live my life. He tells me to sit, watch, observe, listen, and obey Him—for He directs my steps. I get antsy at times and want to react, but instead I try to remain still and obey. I have been betrayed countless times in my life and will probably be betrayed many more in my lifetime. I understand that through my faithfulness to Him, the weakest links attached to me will fall off because their faithfulness is to self first and foremost. One thing that I do know is that every single person who has done me wrong has never had to feel the wrath of my revenge, because in my wisdom and maturity I have learned that God handles all, balances all, corrects all, and all I have to do is continue living well and remaining faithful to Him. Satan has tried to and succeeded at uppercutting and roundhouse kicking me plenty of times, including recently, and in my experience all I can do is laugh (sometimes through my tears), and say, “you won’t break me you liar. My Father comes with a force that you can never contend with you coward!” With that, the pressure subsides, and then I prepare myself for the next round of tricks, games, lures, and attacks—all the while, focused on what I must do as a servant for the Lord. Today I share two scriptural references from the Bible. This was not an accident, but very intentional. They work well together and bring balance to today’s message. People oftentimes reference Jesus and the sacrifices he made when they want to excuse themselves from their responsibility to their family—the family that was a gift from God. These individuals do not understand the life and legacy of Jesus Christ, nor do they understand the examples that he set for us to follow. What they know are the often regurgitated catchy sayings and verses, but they do not put into context his life and lessons that are comprised throughout the entire Bible from Genesis to Revelation. They also fail to see his connection and closeness to family—look closely to those individuals, besides his disciples and followers, that were always with him for the most part. Read and then let’s have a discussion. Let us not confuse doing good work for the least of these as our only proof of servitude and faithfulness to God. Our first and most important priority is Him. If we are faithful and obedient to Him then we will not only find but receive balance in our lives. When we are confused and busily working at trying to play Him, and do His job, we then see a life filled with chaos, despair, and ruin—the playground of satan. Do not attempt to hide from God by doing good deeds in His name. Either you form and nurture a genuine relationship with Him built on obedience and faithfulness, or not, but unlike the rest of us, there is no faking it with Him. Your mission when properly aligned with God, His mission, and purpose for you, will always lead to a life of greatness—and especially within your family. You must ask God to show you the way, and then you must obediently follow. Learn to have first a fear of God, then work to balance this fear while upholding your responsibility to family, and then by gaining favor from friends and associates from work, church, and the community. God first, family (which includes self) second, career third. In that order is balance, out of order comes chaos—satan’s playground. Which will you choose? Father I pray for a balanced life between work and play, between serving You and being in service of Your children. I pray to always be faithful to You, to Your Kingdom, and to my mission and purpose. While I also pray to be faithful to my family, whom You brought to me so that we might all be in service and gratitude to You. Father please continue to nurture my insight and discernment, and mold my level of patience through observation and an understanding that in time all things will happen as You plan. Block my enemies from standing in the way of fulfilling my mission in Your Kingdom. Block my enemies from their attempt to dissuade, manipulate, deter, or cause me to fail. I humbly pray these things in Jesus’ name. Amen. Love other people as well as you do yourself. You can’t go wrong when you love others. When you add up everything in the law code, the sum total is love. But make sure that you don’t get so absorbed and exhausted in taking care of all your day-by-day obligations that you lose track of the time and doze off, oblivious to God. The night is about over, dawn is about to break. Be up and awake to what God is doing! God is putting the finishing touches on the salvation work he began when we first believed. We can’t afford to waste a minute, must not squander these precious daylight hours in frivolity and indulgence, in sleeping around and dissipation, in bickering and grabbing everything in sight. Get out of bed and get dressed! Don’t loiter and linger, waiting until the very last minute. Dress yourselves in Christ, and be up and about! Whatever you are doing that you know is wrong, make right. If you are lazy, selfish, greedy, self-absorbed, feel entitled, or too busy for God and family—make things right. If you have time to shop, play, work, or be lazy and do nothing, then you have more than enough time to spend with God. Don’t just reach out to Him when You need something, reach out to Him to give thanks for what you have. Don’t just praise Him when you can see the blessings pouring in, praise Him when you are blinded by fear and doubt and swear you can count your blessings on both hands. Have a real relationship with God so that you can begin to really experience what life has to offer through and in His Kingdom! Because of You I woke this morning. Because of You I have experienced countless blessings today. Thank You Father. I wake thanking You, throughout the day I thank You, and before I rest at night I thank You. Father each day I work to keep Your commandments, to make things right in my life, and to turn the negatives into positives— so that I can be the example of how an ambassador should be and should live. Thank You Father for keeping me going, grounded, and humble. Thank You for forgiving me for my sins and redirecting me when I stray. Each day I live to honor You. Amen. So the chief priests and the Pharisees convened the Sanhedrin and said, “What are we going to do since this man does many signs? If we let Him continue in this way, everyone will believe in Him! Then the Romans will come and remove both our place and our nation.” So from that day on they plotted to kill Him. The chief priests and Pharisees were so fearful of losing position, perceived power and influence that the only solution they could fathom was to kill Jesus. They knew he was the Messiah, but they couldn’t fathom losing their power over the townspeople—that fear caused a domino effect that has continued to impact lives even today. Can you relate? In what ways are you trying to hold onto your belief of control and power over self, someone, something, or someplace? What example have we ever read about where Jesus demonstrated that he was a control “freak”? What example can we find where his fear paralyzed him from following through on God’s plan? What example shows Jesus forcing people to do, say, or be anything? Did he not always seek volunteers? So why are we the exact opposite? Don’t let fear take ahold of you. Don’t make decisions based on fear. Walk in courage. Pray for courage. Pray for strength to endure the challenge. Father please don’t let my fear get in the way of my blessings. I never want fear to stand between me and You. May I push past the flesh to fully embrace the Spirit. Strengthen me Father, fill me with the courage to face my fears and move forward anyway. In Jesus’ name. Amen. There’s a saying attributed to Bob Proctor, that, “what you think about you bring about”. Our thoughts and speech are powerful. We can either speak and think of a prosperous future or a bleak existence. Our words and thoughts are energy that come from within. What type of energy do you want to put out there and see manifest? Do the words and thoughts glorify God and bring you closer to Him? If not, you may want to reconsider them and choose instead to blot them right out of your space. Don’t expend energy on them. Don’t invest them into any situation or person. Simply let them go to fade away, or shut them down like a swift slamming of a door. Whatever you do, don’t give them your energy or they will grow in power and strength—leaving you to speak and act in a way that does everything but glorify God. By giving negative thoughts energy, you drain yourself of your reserves. Speaking those thoughts then blocks positive energy from coming in to replenish the reserves and provide you with excess. You’re killing yourself and don’t even know it. Stop it! Father I pray for clear, positive, loving thoughts about myself and others. Let me be rid of negativity, fear, and darkness. Let me think and speak words that generate positive energy, so that I may always glorify and honor You. As a believer of Your Word and Your son, Jesus Christ, I humbly pray for the discernment, strength, and courage to properly channel my thoughts and speech to be in alignment with You. Amen. Copyright 2012-2019. Natasha L. Foreman. Some Rights Reserved. Unless Otherwise Noted, All Prayers and Reflections are Copyright Protected by Natasha L. Foreman. What do you value more in your life, material wealth and possessions or spiritual wealth and eternal life with our heavenly Father? You can have both, but only by following and obeying Him. Do you think and make decisions based on your wants and needs, or based on Gods? Does it matter to you that people may think that you’re a jerk but they choose to hang around you because you have (or will have) fame and riches (because they want to get their hands on some)? Or are you more moved by doing good and living well because you gave of yourself when you were least expected to do so? How much of your time do you volunteer to help others who are least fortunate? I’m not talking about what you do for your job/career to help the underserved and underrepresented in poor communities, I’m talking about what do you do in your free time (and how much time are you freeing up) to go and serve others as God has commanded us? Even if you are financially ‘poor’ are you also too spiritually bankrupt to help those who have it worse off than you? Can you not give 1 to 2 hours a week or month to feed the hungry, clothe the naked, educate the ignorant, enlighten those with blinders, and empower the powerless? What you do to serve others as God’s servant is what marks you in history books, ours and most importantly, His. You can’t take your financial wealth with you, and it may not survive long after you’re gone, but your name and reputation will last lifetimes. Yes, it would be awesome to have the strong legacy of a great reputation, abundance of financial riches, and overflowing spiritual wealth. But what if you had to choose between having the money or glorifying God? Which would you choose? If your focus and actions are always dedicated to glorifying God, then it’s possible to build and maintain a multi-generational legacy of both financial and spiritual wealth, with a strong reputation that is always celebrated. What will historical records say about you? What will be etched into your grave’s headstone? Father it is more important to me to maintain my self-respect, dignity and honor, and not disappoint You and my family here on earth, than to accumulate money and power that can quickly dissolve and leave me broke and alone. Help me to uphold the desired qualities that glorify You while building and stewarding the financial wealth that will allow me to give more, more frequently, and to more people—in Your honor. Father I want to make sure that I leave this earth with my name in good standing, with the confidence that I did my best to serve the least of Your children, and that I gave my all in everything that I did. Father, I want to live my life as You so instruct and desire. I want to express the qualities that best reflect You and how You see me. When I stray from Your path, please redirect me as You see fit, so that I can regain focus on Your mission and my purpose and calling in life, and in Your kingdom. In Your son Jesus’ name I humbly pray to You for these things and experiences. Amen.